Canada's biggest investors have a trillion-dollar problem. A stunning $1-trillion (U.S.) in capital – nearly double the amount available in 2012 – is sitting on the sidelines, waiting to be put to work by private equity investors across the globe. So many firms are chasing deals that it is creating the most competitive investment climate in more than a decade. In addition to that heap of cash, hundreds of billions of dollars are piling up in funds devoted to other private asset classes. Some of it is destined for infrastructure projects, such as roads, power lines and airports; some of it will be used to buy up real estate, invest in private debt or scoop up timberland or other natural resources. And the fundraising hasn't stopped. At the start of 2018, there were 3,484 private capital funds courting investors for yet more money, according to alternative asset data firm Preqin. It's enough to remind some people of the exuberant mood right before the financial crisis, when 12 of the largest 15 corporate leveraged buyouts ever were done – not long before the industry, and the global economy, were sideswiped by the end of easy credit. "There are some ingredients of 2007," said Simon Marc, the London-based head of private equity at PSP Investments, which invests about $140-billion on behalf of federal government workers, including the RCMP. He said the environment has private equity firms caught between the lure to sell assets and the pull to buy them. On one hand, it's hard to ignore a red-hot market in which where prices often exceed expectations. On the other, strong economic and market conditions have led to robust profits across a large number of industries, creating a compelling case for holding, or making new, investments. "We're going to be very cautious, very selective about what we do," Mr. Marc said. "But we can't be sitting on the side doing nothing, either." For many of Canada's private-market investors – which include the major pension funds, insurance companies and other players such as Onex Corp. and Brookfield Asset Management Inc. – there's more at stake than ever before. Over the past decade, the big Canadian funds have gotten bigger, gaining the clout necessary to compete with the world's richest players in private investments. But having a spot at an increasingly crowded investment table presents a new test. Failing would be costly. The last time the buyout market collapsed, the list of casualties was long. Well-respected, high-profile firms were left holding the bag as deals completed at the fevered peak of the market went bad. The TXU Monticello Steam Electric Station power plant near Mt. Pleasant, Tex. on Feb. 26, 2007. The biggest leveraged buyout of the time, the $45-billion acquisition of Texas utility TXU Corp. in 2007 by a group that included KKR & Co., TPG Capital Management and an arm of Goldman Sachs, turned out to be a spectacular flop. The company, renamed Energy Future Holdings, struggled with falling natural gas prices and a declining retail franchise. Drowning in red ink and $42-billion of debt, it filed for Chapter 11 bankruptcy protection in 2014. Apollo Global Management and TPG purchased casino operator Harrah's Entertainment Inc. in early 2008 for $30-billion and renamed it Caesars. The odds turned against the buyers – a heavy debt load and fewer gamblers led to the company's bankruptcy filing in 2015 and subsequent restructuring. A motorcylist passes Harrah’s casino in Las Vegas on June 17, 2004. And when aftershocks of the U.S. mortgage crisis brought the leveraged finance market to its knees, many buyers were forced to renegotiate or drop out of deals altogether. Canadians will remember the one that got away: the $51-billion (Canadian) takeout of BCE Inc. by a group led by Ontario Teachers' Pension Plan. The peak of hubris for the era, the debt-financed deal collapsed in the crisis of late 2008 following months of uncertainty and drama about the ability of banks to put up the financing. The 2008 collapse of a $51-billion takeout of BCE was the peak of hubris for the era. A decade on, it has become a world of monsters again – monster funds pursuing massive deals. Fundraising for the largest-ever private-equity fund, Apollo Investment Fund IX, closed in the third quarter of 2017, garnering $24.7-billion (U.S.). Others funds are on track to surpass that amount, including China Structural Reform Fund and China State-Owned Capital Venture Investment Fund. The key questions now are where all of this money will get invested, and how can that cash earn solid returns in a global market where asset values – from corporations to public infrastructure to real estate – are already seen as bloated. Some funds, particularly in the U.S., have opted to park money in exchange-traded funds while waiting for markets to cool and better targets to emerge. "Valuations are obviously very stretched in many ways around the world. But that doesn't necessarily precipitate a downturn," said Mark Machin, CEO of Canada Pension Plan Investment Board. He said the fund is constantly running stress tests to see how its investments would hold up under more difficult economic conditions. Asset prices have soared because of a decade of cheap money, thanks to post-crisis policies of the world's major central banks. Public equity markets in many countries, particularly the United States, now look frothy; that is fuelling inflation in private assets, too. In an early 2017 report, Bain & Co. said acquisition multiples are hitting record highs across the US and Europe, at more than 10 times earnings before interest, taxes, depreciation, and amortization. A more recent report from data platform Pitchbook showed that deal multiples for M&A activity in North America had climbed to the highest levels they'd ever recorded. "We are constantly in auctions where people are surprised how aggressive bids are," said Bruce Rothney, chief executive officer of Barclays in Canada. "Despite what they think is an over-aggressive bid on their own part – they almost push their boards to nosebleed levels, only to discover that somebody was more aggressive than they were." CPPIB's Mr. Machin said it will be important to be ready to pounce when things become less expensive. "When there's a downturn, that should be the moment when we're making really good investments at really compelling prices. We want to make sure we have the ability to do that," he said. How can the Canadians compete and mitigate the risks for their stakeholders? Showing up at the right time with a padded wallet isn't enough anymore. It's time to get creative. Canada's institutional investors are moving to play to their strengths and develop new ways to stand out from the pack. That includes developing relationships with wealthy families in far-off lands, preparing for an energy transition years into the future, shoring up on infrastructure assets they can hold for decades and looking to more niche investments, such as the burgeoning marijuana industry, for returns. Mark Machin, CEO of CPPIB, poses for a picture in Toronto on Thursday, Jan. 12, 2017. It's not what you know, it's who you know. That adage has become gospel for some of the country's largest investors of late. As a response to the competitive deal environment, and in an effort to earn higher returns, institutions are building up leadership teams and hiring more deal hunters with experience in far-off places. CPPIB has hubs in Sao Paulo and Mumbai and its CEO, Mr. Machin, spent about 20 years working in Asia-Pacific markets before taking the top job. PSP Investments officially opened a London office this year and is already eyeing its next Hong Kong outpost. Brookfield has been putting more capital into India, where its infrastructure team sees more opportunity in the telecom sector. The strategy runs far deeper than simply putting boots on the ground. Rather than waiting around to bid at competitive auctions, some Canadian funds are patiently and quietly courting wealthy families overseas as a way to source unique investment opportunities. This style of deal-making often involves years of meetings to establish trust between family-owned businesses and would-be partners before any deal is inked. But once forged, these blue-chip family relationships can open the door to new webs of private investor contacts across Europe and Asia, as well as opportunities outside the competitive auction circuit. Wooing these foreign families has become a more important strategy for some pension funds in recent years. They argue that they can be better partners of family offices than traditional private equity firms because of their long-dated investment horizons, comfort with minority ownership positions and friendlier management cultures. "It's like a private club … It's a different network from the mainstream financial investment network," said Stéphane Etroy, London-based head of private equity at Caisse de dépôt et placement du Québec on a recent trip to Toronto. The Caisse employs teams of people specifically responsible for building relationships with governments, entrepreneurs and other leaders in their local markets where they speak the language. Mr. Etroy says that once you do a deal with a family you become a part of the group. In the United States and Britain, there are fewer opportunities to partner with families, since markets are more mature. This has resulted in fewer and less active family funds, investors say. In continental Europe, however, the fragmentation of the countries and cultures has yielded more such ownership, particularly industrial businesses. And in Asia, India and China in particular, there has been a surge of wealthy first-generation entrepreneurs, according to the Asia Pacific Centre for Family Business Excellence run by PricewaterhouseCoopers, which opened the consulting centre in 2016. Many of these business owners are motivated to leave a legacy and find the long-term approach taken by pension funds to be more palatable than the model used by other private equity buyers, Mr. Etroy said. Earlier this year, the Caisse took a 40 per cent stake in Sebia SA, a French medical diagnostic company, that Mr. Etroy said was emblematic of the partnerships the fund looks for. The deal involved bringing in Tethys Invest, an investment fund controlled by the Bettencourt-Meyers family of France, and Caisse CEO Michael Sabia flew to Paris himself to strengthen the bond. "We think we could potentially be doing more things together," Mr. Etroy said of the relationship. Many of the deals struck with families are less threatening than minority ownership positions in businesses with no planned exit. Where the Caisse may hold a standard private equity position for about three or four years, many of the family deals last well more than a decade. Other pension funds are also building out their relationship teams. Last year, the Ontario Teachers' Pension Plan launched a department responsible for developing global investment relationships that will co-ordinate the many partnerships the fund has forged through its investment deals around the world. The fund's CEO, Ron Mock, said it's "intended to be the building of a network." While Canada's big investors are looking abroad for deals, others international buyers are gravitating to Canada in their hunt for investment opportunities, even if their targets are typically smaller. "You've got a lot more foreign funds recognizing Canada for mid-market companies, particularly U.S. funds," said Jake Bullen, a lawyer for Cassels Brock & Blackwell LLP specializing in private equity deals. "You've got all that interest, you've got a lot of dry powder and the result is a very competitive market for good companies." Increasing interest in Canada among U.S. funds has its benefits – it can mean opportunity for domestic players to sell businesses at healthy valuations when the time is right, said Brent Belzberg, founder of TorQuest Partners. Torquest sold a majority stake in SCM Insurance Services to U.S.-based Warburg Pincus in August. In 2015, it sold store-display and merchandising company Array Marketing to The Carlyle Group. "We have an amazing business in basically creating an arbitrage between the time that businesses we know through our relationships in Canada can be built and when we get them mature enough that they can be put into a book and sold through major world-class investment bankers to people who don't see the border as an impediment," Mr. Belzberg said. 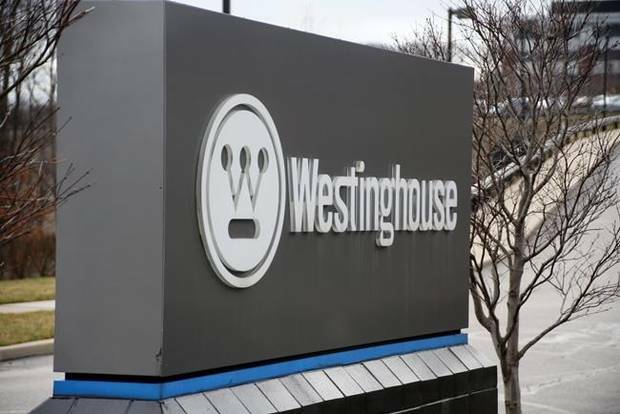 Brookfield is buying Westinghouse Electric, a nuclear energy company, from Toshiba. Canadian private equity is funding a lot of the shift to renewable energy. Brookfield Asset Management is one of the world's largest investors in the sector, with a major focus on hydro power and holdings in wind and solar. On Thursday, it announced it was leading a $4.6-billion bid to buy Westinghouse Electric Co., the struggling nuclear power giant, from Japan's Toshiba Corp., which was another departure from carbon-intensive power. The Caisse has also been boosting already-large investments, with a recent $150-million (Canadian) loan to Innergex Renewable Energy Inc. and the purchase of a $288-million stake in Boralex Inc., which operates wind, solar and hydro projects in Canada, France and the United States. The renewable-energy industry, estimated to be worth as much as $300-billion (U.S.) annually, is becoming a magnet as governments in Canada and elsewhere tighten carbon-emissions regulations, and as the fossil fuel industry exits the third year of a downturn that has caused a major shakeout of investors in both public and private markets. The difference between today's cleantech world and the one that existed 10 years ago is that it now has the ability to generate real returns without massive government subsidies, said Tom Rand, managing director of ArcTern Ventures, which invests in companies bringing in new technology to aid the integration of renewables into today's energy systems. The trick for private investors is identifying the technologies that will allow them to get first-mover advantage before crowds of investors show up to fund major expansion. "The economy's changing. Some people just haven't figured this out yet. We're moving to a low-carbon economy come hell or high water. Those who understand that's inevitable are starting to figure out, how do I put some money in play to give me an advantage as that transition occurs?" Mr. Rand said. "They're busy buying their way to the front of the line to finance those types of projects." Today's biggest breakthroughs are in technology that allows the grid to operate with increasing amounts of renewable power. They mesh well with the major investments being made by the largest pension and private-equity funds. "So that's where the Brookfields and so on of the world are creating a market for us – not simply more solar, but smart grid, energy storage, power electronics – all the stuff that comes in later," he said. ArcTern has co-invested with such diverse players as the Kuwaiti Investment Authority, Enbridge Inc. and Canoe Financial and expects to close a new $150-million (Canadian) cleantech fund this month. A Brookfield Infrastructure deep-lake cooling pipeline project near Toronto. It's not enough to be a world leader in owning and operating toll roads, bridges and power lines anymore – Canada's top investors in infrastructure have been forced to become more inventive. Two decades ago, infrastructure was just coming alive as an asset class. Governments in developed economies began to change their thinking on public works projects and became more comfortable with offloading some responsibility to the private sector. This trend accelerated after the financial crisis, as cash-strapped governments looked further afield for financial partners. Big investors stepped up, drawn to the fact that infrastructure investing tends to have less competition, lower volatility, inflation protection and longer-term holding periods than other assets. Canadian funds were big buyers and are now known for their expertise. It's a good place to be, given that governments around the world are building at a record pace and the need for capital to fund construction and maintenance of critical infrastructure is high. But also rising is the amount of money that flooded into the asset class in the wake of the financial crisis. Cash available to be spent by fund managers stands at a record $160-billion, according to Preqin Ltd., which tracks private equity deals and fundraising. "There are clearly some asset classes that, given extremely low interest rates and what would seem to be unending sources of capital to pursue investment … have probably been chased pretty aggressively," says Mr. Rothney of Barclays, citing infrastructure as a key example. "And therefore the valuations have become quite lofty and returns quite difficult." Last year was a banner year for infrastructure funds. New York-based investment firm Global Infrastructure Partners set a record when it secured $15.8-billion (U.S.) in capital commitments for its latest fund. All that competition is putting pressure on the returns that can be earned through typical infrastructure building, while encouraging experienced players to move up the risk spectrum, or specialize in unique holdings. Case in point: Brookfield's infrastructure group, which was founded just 10 years ago and now manages $41-billion in assets. The firm is looking to some new strategies to spur growth this year, including the launch of its first infrastructure debt fund. It bested its target of $700-million by raising $885-million right out of the gate. Infrastructure debt would be attractive to pension funds and insurers because of their long-dated contractual cash flows backed by secure infrastructure assets. It's not the only way that the Brookfield team has sought to stand out. The firm also has a backlog of capital projects – investments needed to maintain or improve its assets – billions of dollars deep. Brookfield Infrastructure Group CEO Sam Pollock said last year that these investments are typically where the business earns its highest returns because "we're not competing to the same degree as we would an M&A opportunity where we have to go up against a number of pension plans." And investors are getting more creative with the definition of infrastructure. At Brookfield, a big theme for the coming decade is data infrastructure. "Data is the fastest growing commodity in the world," Mr. Pollock wrote in a recent letter to his investors. "This growth is driving the need for massive investment in the networks that transmit and store data." Some funds have also pushed the boundaries of what constitutes an infrastructure buy. After a particularly lengthy due diligence, Teachers' infrastructure group and a partner bought Britain's second-largest private crematorium operator, Westerleigh Group for its portfolio in 2016, deciding the land ownership element and revenue stream from more than 30,000 funerals each year qualified it for the portfolio. The marijuana boom is attracting a private equity sector, hungry for new asset classes. With the world's private equity sights set on the largest targets, Canada's expertise in mid-market niches has become a competitive strength. Until the oil patch downturn, the country's massive energy and materials riches were sought after by Canadian and U.S. funds alike. Now, the country is becoming synonymous with other fast-growing fields outside traditional commodities. The cannabis boom making headlines in the stock market, for instance, is attracting private-sector money, too. It's the latest example of private-market investors expanding their interests into areas they previously avoided. The venture-capital arm of the pension fund OMERS, for example, was launched in 2011 and now has $800-million (Canadian) of assets under management. CPPIB invested in the development of high-end student housing and recently bought 24 properties in the United States for $1.1-billion alongside a partner. At the same time, hedge funds looking to tap burgeoning – yet untested – sectors in pursuit of higher returns at a moment when fees are compressed. Along with cannabis, investors have similarly turned to artificial intelligence and more byzantine private debt deals and even bitcoin, as the first cryptocurrency investment fund launched in Canada. Fundraising and investments in marijuana companies – from growers to makers of everything from tracking software to vape gear – is quickly becoming mainstream in the economy. Canada is attracting money and generating deals with acceptance of the recreational cannabis industry as legalization approaches, making the country the first in the Group of 20 to fully legalize marijuana. The market could be worth more than $8-billion within two years, according to Canaccord Genuity. "I kind of see it as the day after Prohibition. It's the legalization of alcohol all over again, only on a bigger scale," said Ranjeev Dhillon, a lawyer at Bennett Jones in Toronto specializing in cannabis and private equity. His firm hosted a sold-out seminar on private investment in the cannabis sector in early November. "There's a general view that Canada has a market-leading edge and first-mover advantage, and because of that people are looking to Canada as a place to park money," Mr. Dhillon said. Canada is already home to 74 growers licensed to sell medical marijuana and more have applications in the works. When Ottawa legalizes recreational pot this year, the industry is expected to undergo massive expansions in production, wholesale, retail as well as commercial property and other services. Doventi Capital, Nesta Holding Co., Cronos Group and Green Acre Capital are among a growing roster of cannabis-focused private equity players looking to capitalize. In the United States, a handful of large specialist funds and large general institutional investors are also showing interest in Canada's weed sector, Mr. Dhillon said. "As more money comes in you see more people who are coming in from outside the industry – people with backgrounds in agriculture, or pharma or retail, people with capital-markets experience. That professionalization has quelled investor concerns including in the private-equity space," he said. Private equity has avoided some of the ballooning valuations that have characterized publicly traded cannabis companies, though some entrepreneurs are expecting to get similar bumps in the value of their companies. To show how hot the market is, the Horizons Marijuana Life Science Index, an exchange-traded fund that tracks the performance of the North American marijuana index, has surged more than 150 per cent since the start of September. "Definitely on the grower side, it makes it more difficult because the public [licensed producers] are so inflated now and moment-driven that the private guys all feel like they should be getting the same valuation. If they don't get it they'll just threaten to go public," said Tyler Stuart, managing director of Green Acre Capital, a cannabis fund started early in 2017. As a result, Green Acre has focused more on ancillary businesses, which he calls "the picks and shovels," more than growers. "It's less crowded, less competitive, there aren't as many institutional funds chasing those deals. So oftentimes we'll show up on a small financing and we'll be the only institution in the deal, or one of a very few."